SUPA CUTE! (real image!). SUPA CUTE! I wonder if in the tiếp theo season they'll keep her the same age. I HOPE SO!. 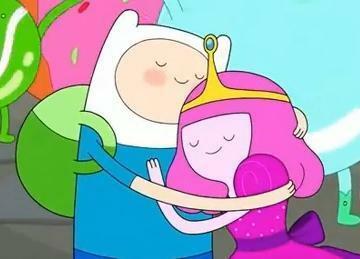 Wallpaper and background images in the Adventure Time club tagged: adventure time time adventure network finn cartoon. SUPA CUTE! I wonder if in the tiếp theo season they'll keep her the same age. I HOPE SO! Well, she can't all of a sudden be 16 again, and no characters are really demanding someone to change her back, so she'll definitely be 13 the next season. Sooooo, yeah. It IS impressive... If it wasn't from the show, but I see you just posted it to use as a profile icon. Lol, sorry, that probably wasn't understandable. You know when you post your icon, and the picture goes to your gallery? I saw the possibilty with the person's icon bein the same as the picture. Yeah, it was mostly for the icon. But it's still ADORABLE! We just need more gum! Kinda happy they couldt find the rest! I hope she stays like that too! WHAT?! Wait, your probaly a Finn X Marceline arnt you! POR QUE!!! !